This album makes me want to dance on a beach barefoot with my lady love while the tide rolls in, as the sunset gently kisses the ocean waves. 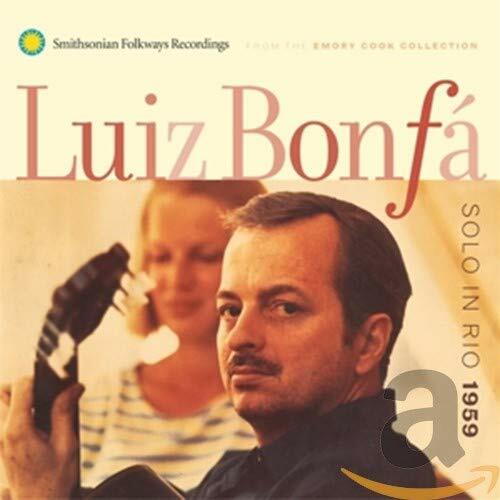 Luiz Bonfa’s Solo In Rio 1959 is a record of the legendary guitarist’s recording session with Emory Cook. Long out of print, it was just reissued on the fantastic Smithsonian Folkways label with a bunch of unreleased tracks (including “Samba de Orfeu”) and is pretty much the most essential thing you can own. Ever. There are no overdubs, no edits, no nothing – except Bonfa and his gorgeous guitar playing. For the love of God, go to your record store right now and treat yourself to this. And by right now, I mean tomorrow because it’s Friday night and you’re out partying while I type this in my PJs. Nice work, flu shot.